The seventh annual Sports & Entertainment Career Fair will be held on Thursday, April 11th. This great networking event offers career opportunities for eager professionals and current college students looking to break into the Sports & Entertainment industry. The registration fee includes admission to the career fair as well as a ticket to the Red Sox vs Blue Jays game that evening. Dress code is business professional. Writer, Multi-platform Journalist, Story Analyst with Amazon Studios, and more will be on campus Thursday and Friday! On Thursday, March 14, seven Middlebury grads who majored in ENAM will return to campus for the English and American Literatures Field Guide. Find out how they went from campus to career. The Emma Bowen Foundation is a nonprofit organization that is building a more diverse media and tech industry by recruiting promising students of color and placing them in multi-year paid internships at some of the nation’s leading companies. Click here to learn more about the foundation and fellowship opportunity. 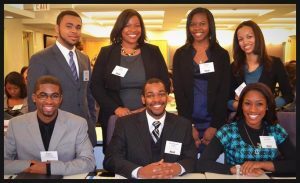 The 4A’s Multicultural Advertising Intern Program (MAIP) connects aspiring diverse entry-level advertising professionals with prestigious advertising agencies. Please review the Agency Department/Position Descriptions to help you determine the areas of greatest interest to you. On the MAIP application, you will be asked to indicate your top choices. Click here to learn more about this internship and submit your application due Friday, October 19. Our Peer Career Advisors (PCAs) could review your application before you submit it. Click here for their schedule. Advertising Educational Foundation – More Industry Conversations! 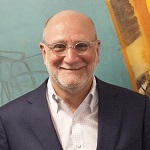 Our popular video interview series, “Industry Conversations”, led by Val DiFebo, Deutsch continues to inspire, engage and inform students and people looking to start their careers in the advertising/marketing industry. We launch the next series today with Susan Credle, Global Chief Creative Officer at FCB Global. Keep checking aef.com and AEF’s YouTube channel for new episodes appearing each Tuesday in September on aef.com. Also available are two compilation videos: ‘How to Land a Job in Advertising’ and ‘How Industry Leaders got their Start’. 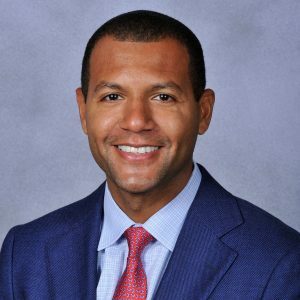 Koby Altman, Cleveland Cavaliers General Manager and Middlebury ’04, will discuss his background and Career Path through the NBA. Listed as one of Vault’s Top 5 Internship Programs! Application closes September 30th at 11:59 PM EST. Over the course of a summer, Kleiner Perkins (KP) Design and Engineering Fellows join KP portfolio companies, where they develop their technical or design skills and are mentored by an executive within the company. Participants in the new Product Fellows program will get the chance to spend a full year working at a Silicon Valley startup. Fellows will also be invited to attend both private events held by Kleiner Perkins as well as by our portfolio companies, where they can meet other talented engineering and design students, network with luminaries in their respective fields, and explore the San Francisco Bay Area. At Kleiner Perkins, we partner with the brightest entrepreneurs to turn disruptive ideas into world-changing businesses. We’ve helped build and accelerate growth at pioneering companies like Amazon, Google, Lending Club, Nest, Twitter, Uber, and Mandiant. Kleiner Perkins offers entrepreneurs years of operating experience, puts them at the center of an influential network, and accelerates their companies from success to significance. Learn more about the Kleiner Perkins Fellows Program in Handshake.